I've found that wearing gorgeous, bold jewellery - especially as a mom now - is a great way to perk up my wardrobe (without worrying about sizing)! After all the sleep deprived nights, messy feedings and dirty diapers, I feel fresh and feminine again with some lovely "bling". Stella & Dot is offering a special deal for my readers, just in time for spring! 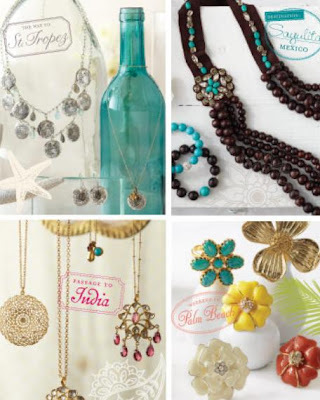 The Stella & Dot Spring/Summer 2010 line is now available, and I adore the looks, which are themed around hot, exotic places such as "Passage to India" and "The Way to St. Tropez". Stella & Dot stylist Mirjana first wrote in a few months ago to let Canada-Mom-Deals readers know about the beautiful couture style of Stella & Dot jewellery, and now she's offered us all some special deals! Shop online and order $99 (before tax) or more, mention Canada Mom Deals and shipping is FREE on all orders shipping anywhere in Canada! Shop at www.stelladot.com/mir or contact Mir directly m_skelin@hotmail.com. If you live in the Greater Toronto area or Halton Region, book your trunk show and just mention Canada Mom Deals, and she’ll give you an extra bonus of $50 credit to spend on couture jewellery for a Trunk show of 12 + ladies. Holding a "trunk show" at home, with other moms and girlfriends, is a fun way to shop! You can indulge friends and family in a personal shopping experience at your home or office. 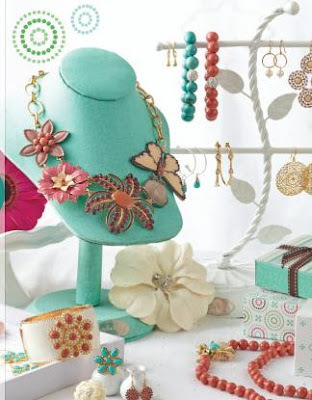 As hostess, you can receive a ton of free jewellery and shopping discounts at 50% off. Or join Mir's team and become a Stylist yourself - it’s perfect for the modern Mompreneurs. A flexible business that you'll be proud of, it can be part-time or full-time, it's up to you! Mirjana is currently looking for hostesses in the GTA & Halton area who LOVE fashion & beautiful jewels. Is that you? Let her know... she loves giving away free jewellery! For more information or to book your trunk show, contact Mir at (416) 806-9756. Offers expire May 31st, be sure to call soon if you want to book a trunk show! It’s hard to resist a fabulous offer so dates for trunk shows are booking up! 0 Response to "Stella & Dot Jewellery Free Shipping with Purchase, $50 Credit with Trunk Show Bookings"